Yes, it reached no.1 in the album charts. but the album this comes from, To Lose My Life is good. After a trio of fantastic singles ‘Footsteps’ ‘Looting Takes The Wanting Out Of Waiting’ and ‘The Waltzers’ (all included here), Bricolage have released their debut LP. And, like many of the best albums, it’s one that grows on you more and more with every listen. Over the course of twelve songs, they set out their stall, and how. Whilst comparisons will, and already have been drawn with the Glasgow School of Indie circa 1981, this album benefits from songs that are tight without being overproduced, and echo Franz Ferdinand’s debut LP, as much as the early releases of those they have been compared to. The album has been produced by former Altered Images mainstay Stephen Lironi, and the 12 songs ’emanate a cinematic and literary glow that illuminates late night tales Glasgow’s West End’ (this last quote lifted pretty much wholsesale from their myspace). make sure you get your hands on this album – as well as the aforementioned singles, tracks like opener ‘Bayonets’ and #Plots Are For Cemeteries’ are songs you’ll be wanting to stick on your iPod and compilation CD-Rs for a long time to come. So…already we are at the end of January. How has it been so far? 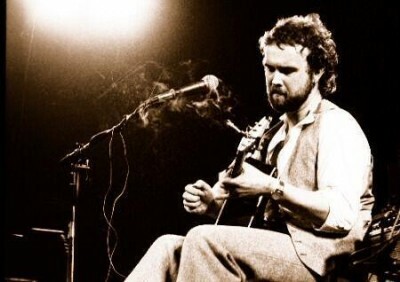 Annoying, or unmotivated students aside, the death of John Martyn at the age of sixty is something that has to be the worst thing. I’d only started to fully appreciate his music over the last few years, and hadn’t seen him live. He produced some excellent albums – Grace & Danger (even Phil Collins’ involvement couldn’t ruin it), One World, and of course, Solid Air. The title was tribute to his friend, Nick Drake, who died the following year. He was good at writing songs about male friends, like another one of Solid Air‘s tracks ‘May you Never’ in which he wishes a friend well. RIP, good Sir. There is lots of good music coming out – I have heard over twenty releases so far this year* and it seems that Scotland is coming up trumps already. The Chemikal Underground label has already released the debut album from the Phantom Band Checkmate Savage, with excellent albums due out over the next month or so from Aidan Moffat and the sophomore release from De Rosa. 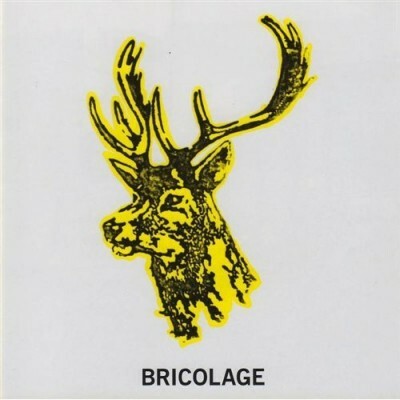 Bricolage’s debut came out this week, and a promo copy dropped through the letterbox of 17 Seconds Towers only this morning from Wake The President of their debut album. This album is not on Chemikal Underground but it was recorded at Chem 19, with Paul Savage and they supported Emma Pollock so…(you know how that sentence could end, so I won’t finish it). Not to mention Franz Ferdinand’s long-awaited third album which came out this week, and Les Reno Amps’ second album which will be out in February. Edwyn Collins live at Celtic Connections was a fantastic start to the gig-going year, even better with the addition of Roddy Frame on guitar (read the Vinyl Villain’s review – I was at the gig with the man himself and he summed it up so well i don’t think I can add my tuppence worth). There’s other great records out as well -Antony and the Johnsons, Bon Iver, M83 and White Lies are already out, and releases from the Pains Of Being Pure at Heart, Darren Hayman, Morrissey, Western Civ and the collaboration between Horace Andy and Ashley Beedle are going to light up the musical world over the next four weeks or so. Broken Records have signed to 4AD -another band I first saw supporting Emma Pollock (and subsequently Idlewild and Sons & Daughters) -you can read all about it at Song, By Toad. *I’ve told you before, I get sent most of these. I don’t know about you, but ‘Angie’ by the Rolling Stones has never really rated as one of my favourite tracks of theirs. However, a collaboration between two legends, Horace Andy and Ashley Beedle, features a cover of this in a reggae style…and I reckon it’s great. 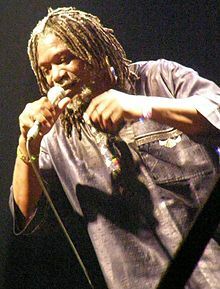 The reggae legend is joined by the dance legend and on the evidence of what I have heard so far, sounds like it should do well. It’s taken from the album Inspiration Information which is due out at the beginning of March. 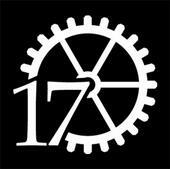 OK folks, I have been waiting to announce this for ages…17 Seconds’ third signing is The Gillyflowers! You may remember that I wrote about this band a few weeks ago, and that I had seen them supporting Aberfeldy, 17 Seconds Records’ first signing, at the Voodoo Rooms in Edinburgh. When Reilly Briggs played us the demo, we knew we had to sign them, we’ve spent the last five weeks trying to make this dream come true! Led by one Kersten Adamson, a Fifer with music in her blood the band sound perfect, all the more especially considering they have only played a handful of gigs so far. Check out their myspace here listen to the songs and go and make friends. This is our new logo, btw. Oh, and there are articles on the record label here and on Aberfeldy here at song, By Toad. Not before time, Doves are back! 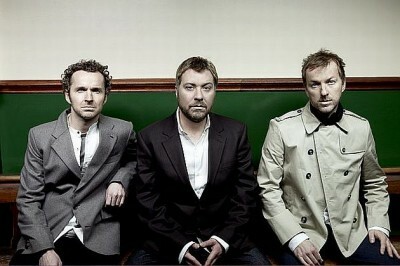 A mere four years after the release of Some Cities, Doves return with their new album Kingdom Of Rust. In tribute to Bladerunner, they have written a song called ‘Jetstream’ which is the opening song on the album and sets it off to what would be a fantastic start, from the sound of it. It sounds obvious to describe this as cinematic, but it’s really the most appropriate thing to say. …great to have them back! Take two (my previous De Rosa post seemed to disappear into the ether). 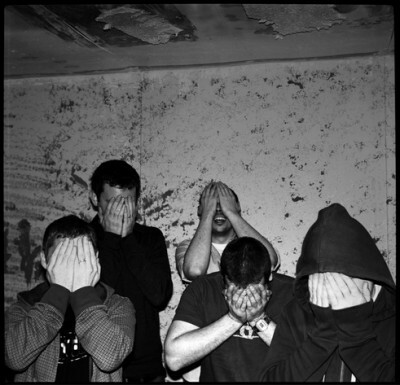 De Rosa, who hail from Lanarkshire in Scotland, release their hotly anticipated sophomore album Prevention on Chemikal Underground (who with Aidan Moffat and the Phantom Band are gearing up for a great 2009). 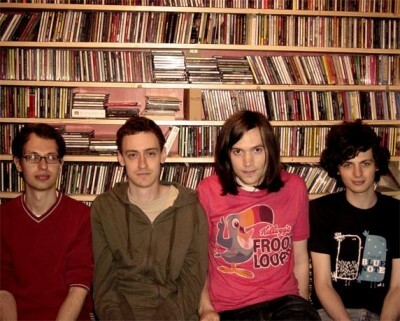 Santi White’s eponymous debut album was one of the highlights of 2008 here at 17 Seconds towers. I haven’t seen her live yet but I’d sure as heck love to. Anyway, it’s a great remix of a great track. Get your ears round this! Oh and go and buy Santogold’s album if you haven’t already. It’s been a busy but great weekend. Friday night I was out in Glasgow with fellow scottish bloggers JC, Drew and Colin for Edwyn Collins (above) at the ABC in Glasgow. I will post my own review here soon. It was a great start to the year’s gigs, especially being as it featured Roddy Frame on guitar. about JC, the Vinyl Villain himself’s view of the gig over here at the Vinyl Villain. On Saturday, it was on with the business of trawling round record shops dropping off Aberfeldy’s single round record shops. It’s now available in quite a few shops including in London, Edinburgh, Manchester and Glasgow. More great new music in my inbox! The last few days have been pretty busy around my inbox, as I try and fail to keep up to date and get to grips with everything I’m sent. Much as I cannot wait to get my hands on the new LPs from White Lies (already out) and Franz Ferdinand (out next week), there’s also new and exciting stuff being sent my way. And with the January blues permeting this little corner of Scotland, maybe it’s best I listen to something a little more upbeat than Mono, for example, who I love, but tend to make me wallow than quit the blues. One of the incoming tracks is 4AD’s signing of Kent band It Hugs Back. this track actually made it to that alll-important no.48 position in the 2008 17 Seconds Festive Fifty. Also arriving into the 17 Seconds inbox is the Whitest Boy Alive, whose sophomore album Rules will be released on their own label on March 30. I’m really loving this. I think you will, too.